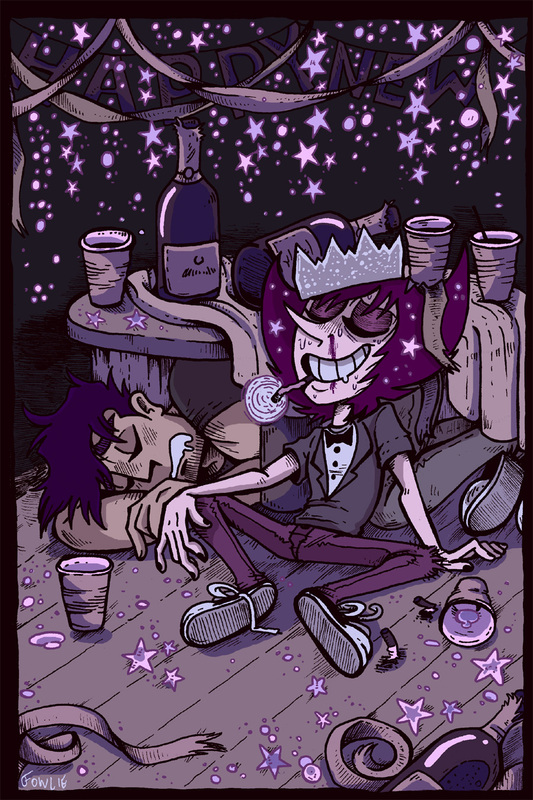 I think Fritz’ favorite holiday would be New Years Eve. Its isn’t family, or religion oriented, and social expectations are based solely around going out and getting trashed. New Years represents a clean slate, leaving everything negative behind you in the last year; a whole new start to a whole new you… even if that isn’t actually true, its still a comforting sentiment. 2015 was a terrible year for me, as any of you following me on social media may have noticed. Constant external and internal stress left me feeling like I was losing my mind, for a good chunk of the year. Every time I felt like I had my footing back, I would trip up again and again. There were weeks on end where I felt absolutely miserable, and others where I felt nothing at all. Everything was terrifying. I was so easily overwhelmed, yet nothing mattered at all to me. Its scary to admit when there is something fundamentally wrong with you, but I can’t live like that ever again. I think I’m on the right track to becoming healthier, though it is a long process just to find out what exactly is going on. I want to thank all of you for your support and patience this year. From everyone on Patreon, everyone who bought HEAD, and everyone leaving comments and sharing Fritz with their friends. It means the world to me that anyone could see something in my messy little comic about misery. 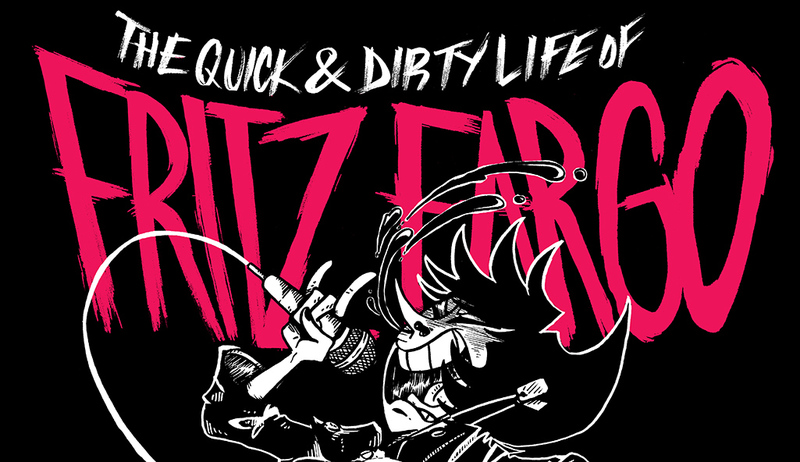 Fritz Fargo Volume 1 on Kickstarter! The day has finally come, to print the first run, of the first volume, of the first five years of Fritz Fargo! Readers have been requesting this for a while, and I am so excited (and nervous) to finally take that leap! My good friends at DAPshow have put together a Kickstarter to raise the funds needed for a limited run! 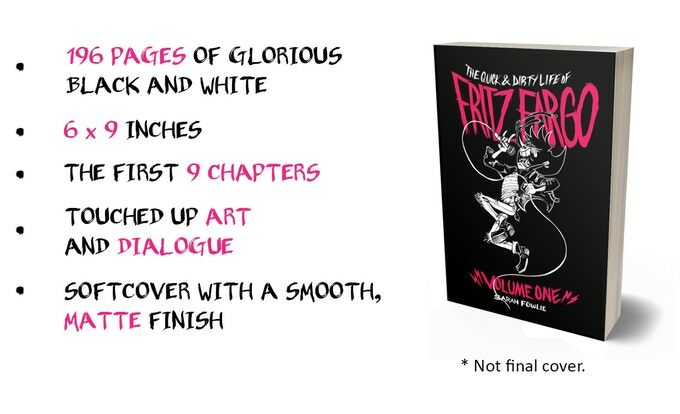 This is all or nothing, so if you’ve been wanting to take Fritz home without, please back our Kickstarter! We’re also offering some cute Fritz head stickers, just for fun.